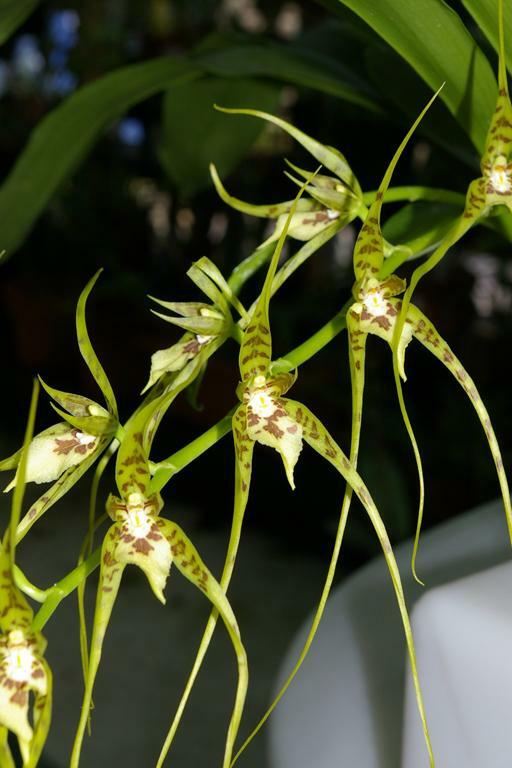 Brassia caudata, commonly called the Spider Orchid, occurs in Mexico, West Indies, Central and northern South America and Florida. 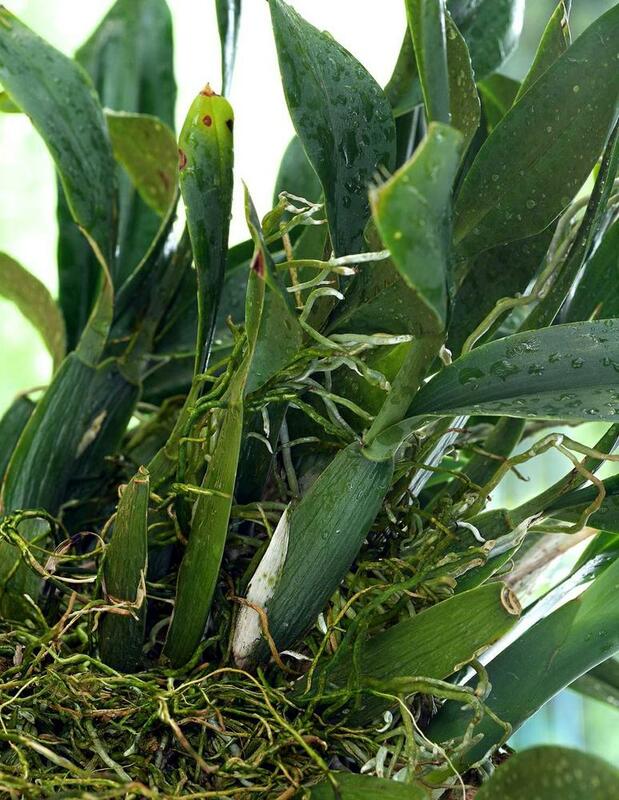 This epiphyte has strongly flattened pseudobulbs with two glossy, relatively long, green leaves that spread out from the apex. 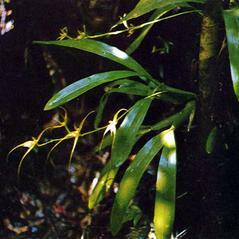 The inflorescence emerges from the axil of the pseudobulb and consists of large spindly flowers with long slender yellow-green sepals and petals that are barred and blotched with brown. 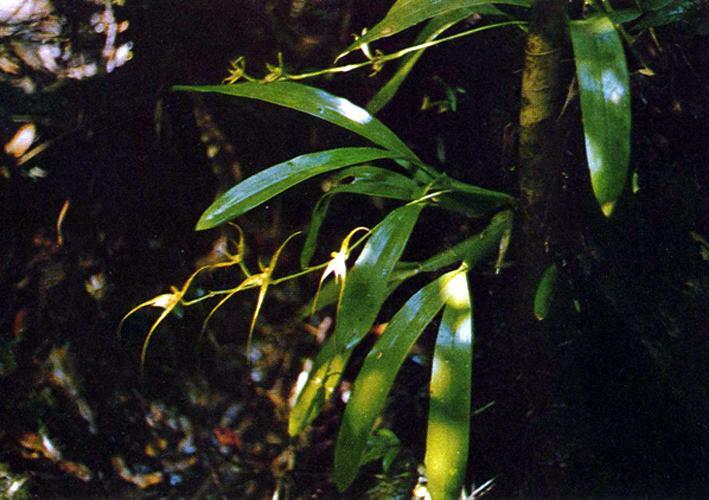 This orchid grew in hardwood hammocks in the Everglades National Park and was heavily impacted by freezes and fires in the late 1960s. 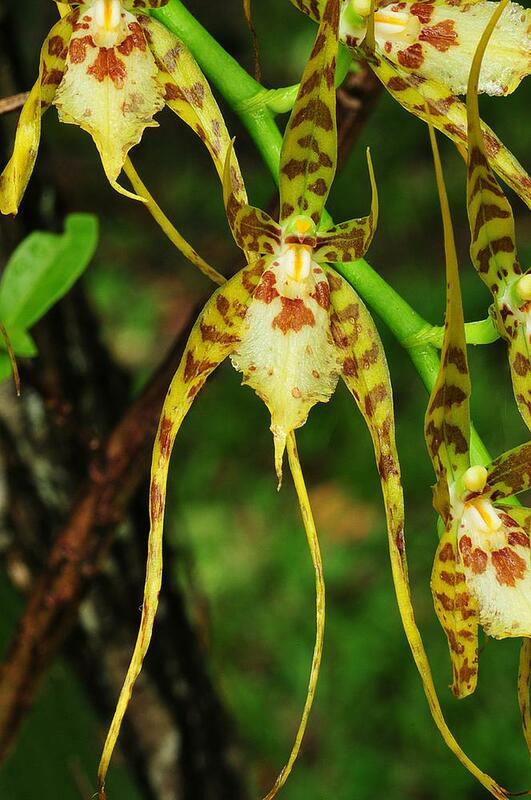 Brassia caudata is vulnerable throughout its range and considered endangered in Florida. 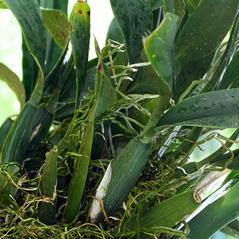 It has not been seen in Florida since 1990 and is believed to be extirpated. 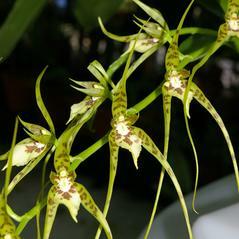 The speckled petals and sepals look like the legs of a spider and fool female spider-hunter wasps in the genera Pepsis and Campsomeris. The wasp stings the flower’s lip and while trying to grasp its prey, comes into contact with the pollinarium that sticks to its head. 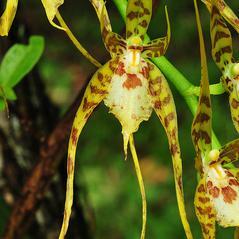 Pollen is transferred to the next Brassia flower the wasp visits.